Wait! What? Why is Batman being mentioned on a horror site I hear you cry. Fear not horror fiends this is not an error this is news on a fan film with Italian horror influences thrown in for good measure. 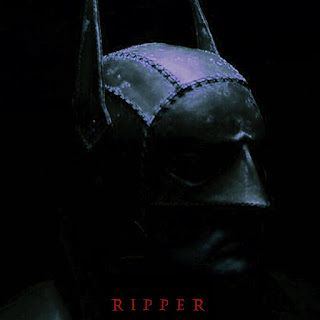 'RIPPER' will be something no one has ever seen before as Batman heads to Victorian times to take on evil, including the famous Jack The Ripper. What Abberline doesn't know is that there is someone out there who wants to help. Someone in the shadows.... watching.... waiting to strike. Currently wanting to raise funds via Indiegogo to the sum of £5000, contributors will have plenty of choice of what perks they can get for their donations from a special thanks in the credits, DVDs to being noticed as a Associate Producer. Head here and donate now to keep the Batman alive. Be sure to keep informed on this film by going to their Facebook page and clicking LIKE.